What is your Biggest Financial Asset? Your home, your car, your gold, or shares? It’s none of them. It is something else, something simple which is there is all of us. Find out what it is. 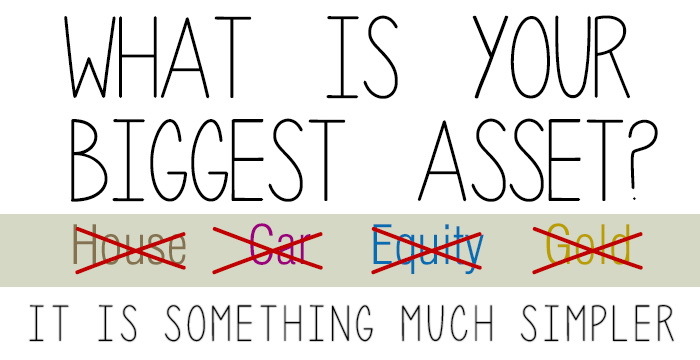 I ask again, what is your Biggest Asset or Biggest Financial Asset for that matter? I guess you will reply the usual, you own a house, and the value of which may be the highest among all your other investments and financial assets, so you say yes it is your House. After all, the house is real estate and real estate also grows in value over the years, so it gives you appreciation advantage. Or in case you do not own a house as yet, then the next highest valued asset are the shares you own, right? Or maybe the Gold investments you have in form of ETF, Mutual Funds or physical gold lying in your locker. Or you may even say your car is your biggest asset. Well, I don’t want to disappoint you all but, all of the above is WRONG. None of that is your biggest financial asset. They are Assets, no doubt. They have their values, they will benefit you financially in the long run, but they are not your biggest asset. So then, what is your biggest financial asset? The answer is pretty obvious but often overlooked one. It is YOU. You are your biggest Asset! Yes, you and your ability to generate income are your biggest financial asset. How? Read on. You bought a house, and chances are you got it on a home loan. How did your bank give you a home loan? You may say they took the papers of the house you bought as security and then disbursed the loan. Well not actually. They sanctioned your loan before disbursement, right. They did so, based on your ability to re-pay them. They evaluated your capacity to pay the EMIs in the future based on your income statements: be it your Form 16 or Form 16A, your Profit and Loss statement, bank statements, salary slips etc. So it is your earning potential that made you eligible for the loan in the first place. You bought gold, so you have it as an asset today. But who bought that asset. You did and how did you buy it; with money and how did that money come; because of your earning potential. Whatever you earn; less or more it is still your biggest asset. Being able to generate money is your biggest asset. Now put this into perspective with various other things in life that you have achieved or want to achieve, be it the new car, second home, some more investments, international vacations, your kid’s education, their marriage, your retirement and so on. I hope you agree that more than the house, or the gold, or the car (car is a depreciating asset in any case), or shares etc it is you and your earning potential that is your biggest asset. If you do not make money or generate further income, you cannot build assets, banks will not give you loans, and your new car will remain in the showroom itself. 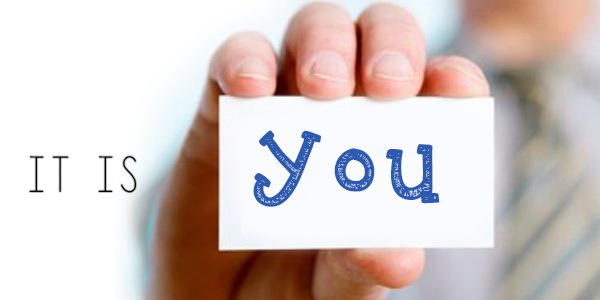 Your Biggest Asset: Your Earning Potential… YES! You may argue here that if you have enough money that you can invest wisely and earn returns from it for the rest of your life, then you do not necessarily need your biggest asset: Your Earning Potential. Well, again you are wrong. It is your earning potential in the first place that got you the money. Even if you won 7 Crore form Kaun Banega Crorepati it is still YOU who did. Your ability to answer those questions, to use the lifelines and to reach the hot seat, was the reason you got the money. This ability in this case is your earning potential. It can be any skill, knowledge, expertise, education that you have, that ultimately gets you to a position where you can demand a monetary value and becomes your earning potential. And all this ultimately boils down to you. Yes of course, you could be lucky and inherit a fortune from a dying relative or family member, but then that sort of luck is not for everyone. Again in this case too, if you are able to take sound investment decisions and invest the money sensibly so that you get regular income from that, only then can you live off it or else you will blow away all the money. So again, it is YOU. So my friends, whichever way you look at it, your Biggest Financial Asset is YOU and your Earning Potential. Take care of it and value it the most. Instead of looking at ways to buy material assets, spend more time to harness this asset, groom yourself such that it increases your earning potential. Train yourself, learn a new thing, keep upgrading, and keep earning; because ultimately all will depend on that. And this is exactly why you should also insure yourself. Your life insurance decision is a decision to protect your earning potential in the future even when you are not around. Similarly while you are alive, a mediclaim is handy way of protecting yourself and making sure you are able to give yourself good medical attention in times of needs. Take care of your biggest asset. Take care of Yourself.